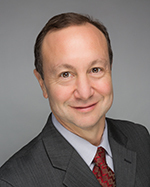 Gary Kain has served as a Director and our Chief Executive Officer since March 2016, and Chief Investment Officer since January 2009. He served as President from April 2011 until March 2018. Prior to joining AGNC Investment Corp., Mr. Kain served as Senior Vice President of Investments and Capital Markets of Freddie Mac from May 2008 to January 2009. He also served as Senior Vice President of Mortgage Investments & Structuring of Freddie Mac from February 2005 to April 2008, during which time he was responsible for managing all of Freddie Mac’s mortgage investment activities for the company’s $700 billion retained portfolio. From 2001 to 2005, Mr. Kain served as Vice President of Mortgage Portfolio Strategy at Freddie Mac. From 1995 to 2001, he served as head trader in Freddie Mac’s Securities Sales & Trading Group, where he was responsible for managing all trading decisions including REMIC structuring and underwriting, hedging all mortgage positions, income generation, and risk management. Prior to that, he served as a senior trader, responsible for managing the adjustable-rate mortgage and REMIC sectors.